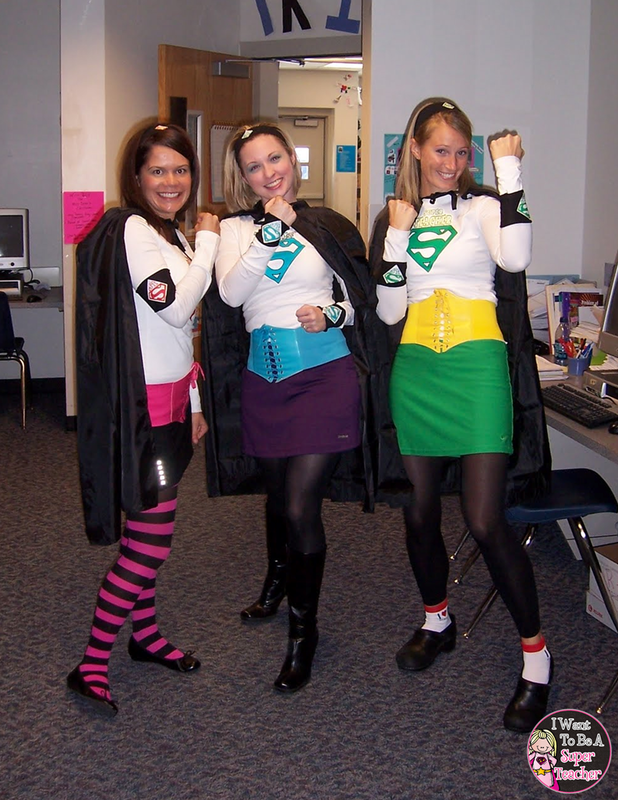 The post includes 5 Halloween ideas and activities you can use in your elementary classroom in October. 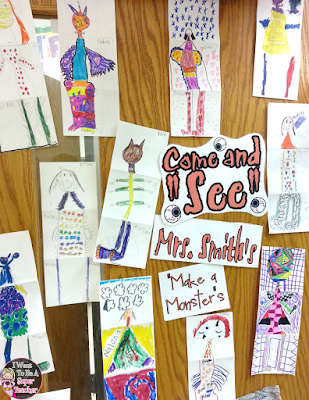 Halloween art, October read alouds, teacher costumes, and free printables. These activities would work well for 1st, 2nd, 3rd, 4th, or 5th grade kids. Need a quick (FREE) Halloween art project? 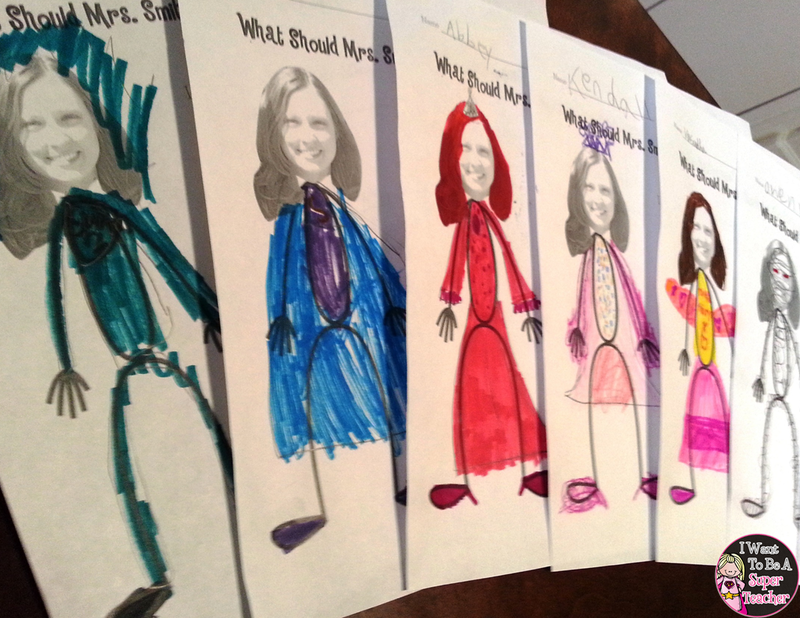 Try this What Should my Teacher be for Halloween art project. or if you need something that will take a little longer you can try doing Mixed up Monsters with your class. I’m pulling out Mixed up Monsters asap so I can have a cute Halloween door before October slips away. Need a quick Halloween read aloud so you can chill out for two seconds? Try out Storyline Online. 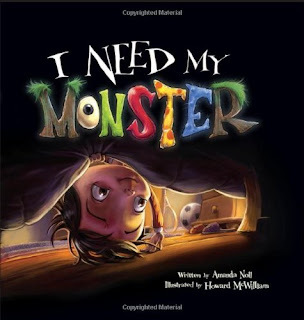 There’s a great reading of I Need My Monster read by Rita Moreno that the kids love. You will need access to YouTube to watch this at school though. I feel for you if YouTube is blocked by school filters. I had that issue one year too. I hate it when people who’ve never taught are in charge of making technology decisions. Boo! (not the Halloween kind of BOO- the THIS IS RIDICULOUS and I’m going to smack someone kind). Need a quick Halloween teacher costume? Check out these Super Teacher iron on pattern freebies. They come in the colors shown above. 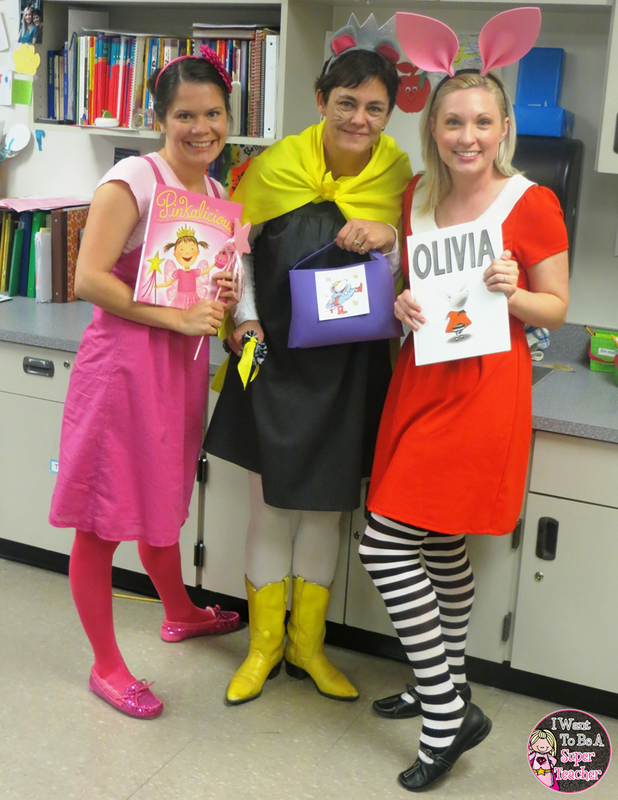 Have a little more time to put together a teacher costume or want to dress up like a book character? Check out this step-by-step Olivia costume. Plus look at my cute friends dressed as Pinkalicious and Lily from Lily’s Purple Plastic Purse. My awesome teammate just had those to die for yellow cowboy boots in her closet! 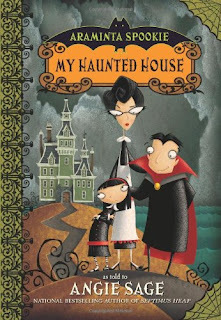 Need an October read aloud? Need more ideas for teacher costumes or October ideas? 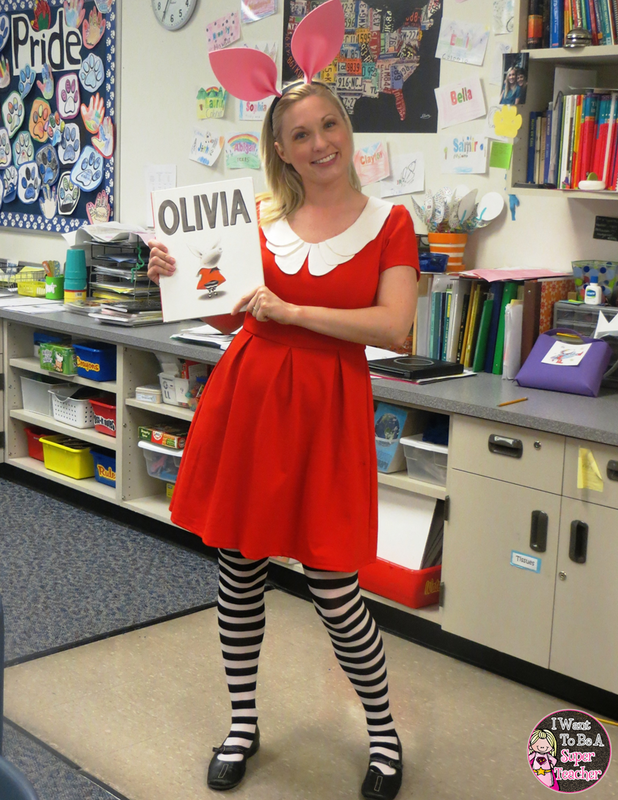 Hop on over to Pinterest and check out some darling teacher costumes plus an array of amazing October classroom projects and ideas from simple (I can do those!) to way too complex for me (maybe next year – I’ll pin them now just in case). Previous Post: « Teacher Week Friday: My Favorite Subject – Writing!